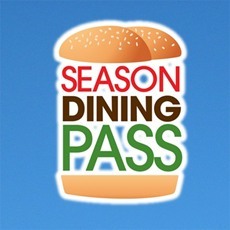 Six Flags Dining Pass Announced for 2013 Season! Imagine, every time you visit your local Six Flags park, Lunch and Dinner would already be included. Well, this could be a reality for any 2013 Six Flags Season Pass holder! It has been officially confirmed that every Six Flags park nationwide will roll out the Season Dining for the 2013 Season. Here's what we know. The program will be an Add-On for Season Pass holders, and the price hasn't been officially announced but is an estimated $59.99 (This was the price during the Trial Period at Six Flags Great America). It will include Lunch and Dinner at select Food Locations every time you visit. When you visit the park, you are given Meal Vouchers to redeem that day. It isn't a Buffet, but rather select meals that can be chosen. Sound Exciting? The only question is if it'll work at all Six Flags Parks, and not just the one you buy it at. Fingers Crossed! That's all for now from this TPO Quick Update! "Like" us on Facebook to be notified of New Content and Prize Giveaways! www.Facebook.com/ThemeParkOverload My Name's Nicholous, and Thanks for Reading!